I love vegetables, but the problem is that I don’t cook them often enough. I’ve determined that it’s probably due to a combo of laziness and convenience. Now if it’s something easy that would be my entire meal, say an acorn squash for example, then I would make the effort. 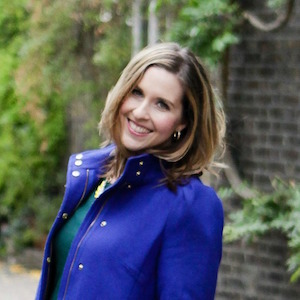 But that has been the beauty of this blog…allowing me the excuse to cook with those foods that I really love so much. So this week, I’ve been experimenting with cauliflower. 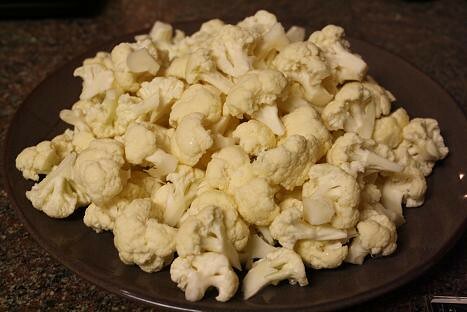 I enjoy cauliflower raw, steamed, and also smothered with cheddar cheese sauce. I mean really, what isn’t fabulous when swimming in cheese sauce?! However, I was interested in seeing what else I could do with this veggie. Since I don’t own a steamer, making cauliflower wasn’t something I typically considered. Plus when shopping at the store, cauliflower doesn’t exactly jump out at me as I’m strolling through the produce section. But I stumbled upon a recipe featuring this non-colorful vegetable that I couldn’t stop thinking about and knew it had to be my next culinary adventure. This recipe comes from Martha Stewart’s Everyday Food. My sister recently introduced me to this magazine and I was loving what I found. I have a feeling I’ll be revisiting this source for many future recipes. I was so intrigued by not only making a one-pot dish with cauliflower but it also involved curry. 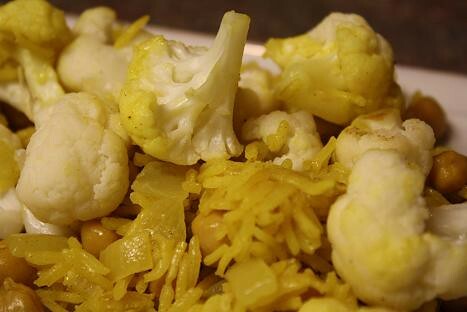 The basmati rice, chickpeas, curry and cauliflower are definitely a winning combination. This recipe was easy to follow and turned out beautifully. I loved how the cauliflower steamed while the dish was baking and cooked perfectly. Another plus for me was that the curry isn’t overpowering in the least and the leftovers are just as fabulous. If you’ve ever wanted to cook with curry but have been hesitant, then this is a great recipe to get your feet wet. Click here for the recipe and step by step ingredients…enjoy! Mashed Cauliflower is a side that I’ve always wanted to try. Anyone that knows me well and has been to a family dinner where mashed potatoes are involved knows how much I love that dish. 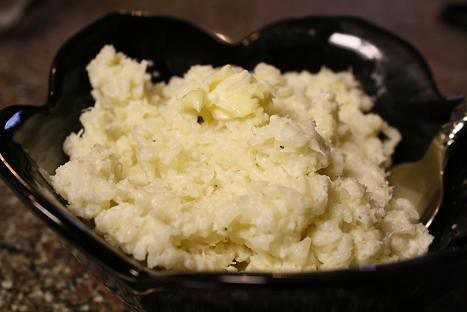 Love may not be a strong enough word, but the point is that mashed potatoes are one of my favorite side dishes. So it’s been difficult for me to want to make mashed cauliflower, because while it’s a healthier option, I wondered how it could even compete to mashed potatoes. I had to come to the realization that few sides will compete in my opinion, but other recipes can also be good. Therefore I owed it to cauliflower to give it a shot. I’m really glad I did. First off, this recipe comes from Tasty Kitchen, which I feel like I am constantly referencing on the blog. That just goes to show you how fabulous that website is. Second, the recipe was unbelievably easy and really fast to make. Third, the pièce de resistance is that this dish calls for goat cheese. I hope I’ve made myself clear in this blog that I adore goat cheese, so seeing this ingredient was enough for me to finally break down and make a mashed cauliflower dish. The end result was really delicious, not too rich, but the addition of goat cheese really made this a crave-worthy dish. simply for how delicious and easy this recipe is, I hope that you click here for the recipe and step by step instructions! I love that magazine, as well. Lots of delicious and fuss-free recipes. This one looks like a winner. Looking forward to trying it!